Giant Scale airframes ship via truck freight at a flat rate of $140 to a commercial business address. PLEASE NOTE: Commercial delivery business addresses are determined by the trucking company! If your business is in your home it is still considered a residential delivery by the trucking company and a $60 surcharge will be added. If the trucking company charges us the residential surcharge this same amount will be passed along to the customer. Shipping to a residential address requires the “Residential Delivery” option to be chosen. Extreme Flight designers Ben Fisher and Chris Hinson have long shared a mutual dream to bring to market a Giant Scale airframe purpose designed for electric power. Discussions and brainstorming sessions began even before the merger of Extreme Flight and 3DHS. 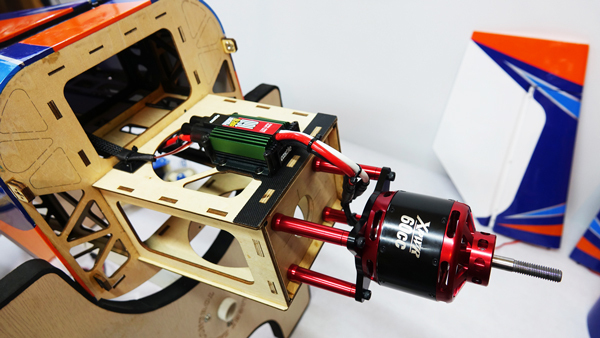 With the development, release and overwhelming enthusiasm for the Xpwr line of motors and in particular the Xpwr 60, this vanity project has now become reality! 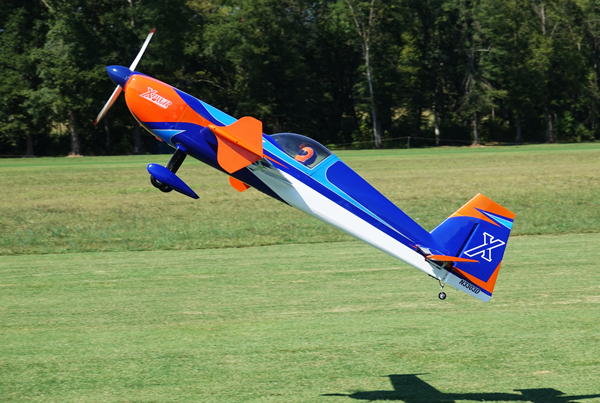 Extreme Flight is proud to present the 3DHS 95" EXTRA 330SC-E! The EXTRA 330SC-E is a beautiful synergy of advanced composite materials implementation, extreme weight reduction measures and well informed aerodynamic choices all wrapped around one of the most powerful, efficient and reliable electric power systems currently available. 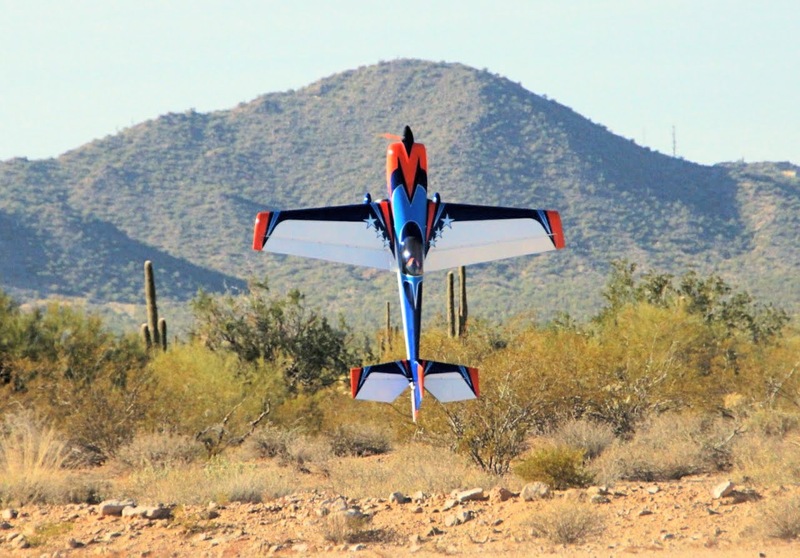 Far from being fragile and hard to handle, the EXTRA 330SC-E is strong where it needs to be and can handle any of the aggressive maneuvers performed by its gas powered siblings. 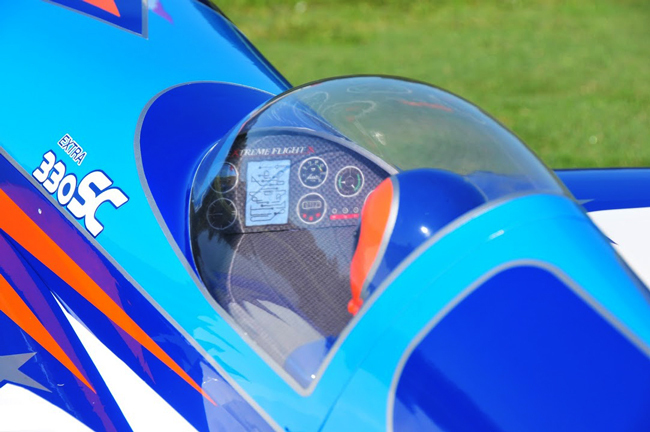 When your new EXTRA 330SC-E arrives and you remove the highly detailed prefabricated canopy with pre-installed dash and Pilot X figure, you will be stunned and amazed at the gorgeous structure before you. Our brilliant factory CAD engineers worked tirelessly with us to help bring our dream to fruition and the interior of the EXTRA is among their best work. With the exception of installing pin hinges and dual truss control horns, the 95" EXTRA 330SC-E assembles as fast and easily as our smaller electric models. Making this new EXTRA as plug and play as possible was a primary design goal. We created the Blazing Star Standoff line specifically for this type of situation and mounting the Xpwr 60 couldn't be easier. There is a designated location to mount the Castle Creations 160HV ESC eliminating any guesswork and a set of baffles included to direct cooling air over the motor. 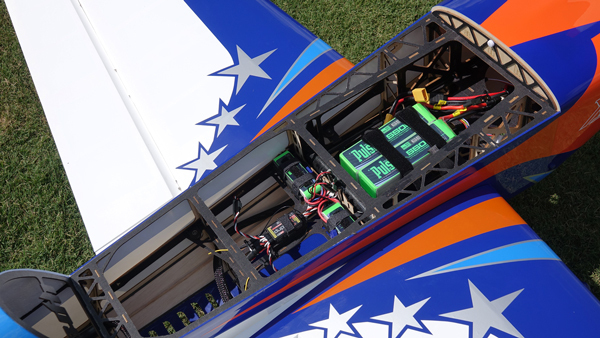 The bottom of the fuselage has a pre-installed louver to create a low pressure zone and pull heated air from the motor and batteries from the fuselage, helping to keep all electronic components cool and functioning at peak levels. 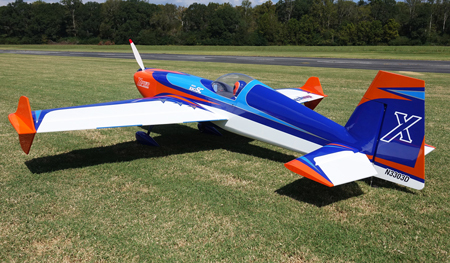 We knew we needed a special color scheme for this unique model and Jim Bourke awarded us the license to use the color scheme from his gorgeous full scale Extra 330 that he flies in competitions and airshows around the world. Thanks Jim! Our highly skilled factory workers have replicated this scheme in high detail in a standard (non-printed) Oracover finish with perfectly matching painted cowl, canopy deck and wheel pants. 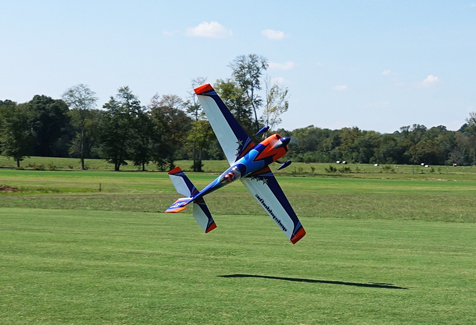 Of course carbon fiber landing gear, tailwheel assembly and wing and stab tubes are standard fare! 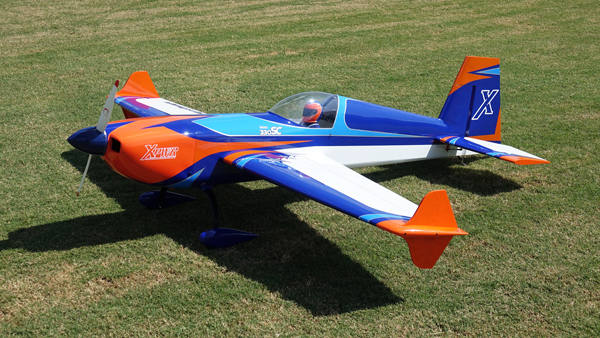 The Xpwr 60 combined with the Castle Creations 160HV ESC, a Xoar 24x12 PJN prop and high quality high C rating 12S Lipo batteries delivers clean quiet power that exceeds the capabilities of similar sized gas engines and will propel the EXTRA 330SC-E with extreme authority! This combination must be witnessed firsthand to experience the kind of awe-inspiring power on tap! 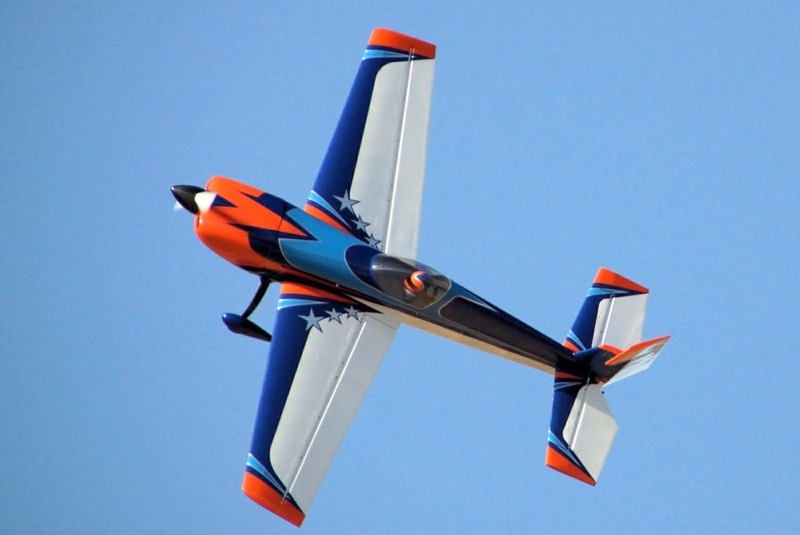 The reality of a practical, high performance Electric Giant Scale Aerobatic model is finally here! Once again Extreme Flight leads the way and raises the bar. We invite you to join us as we write this exciting new chapter in electric flight! 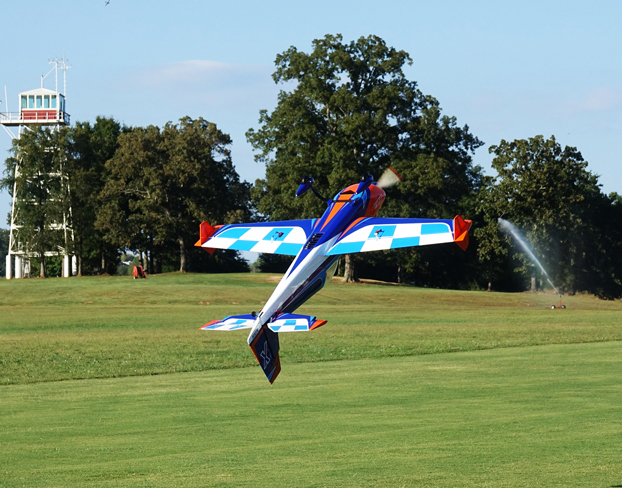 3DHS 95" Extra 330SC-E flown by Jase Dussia.